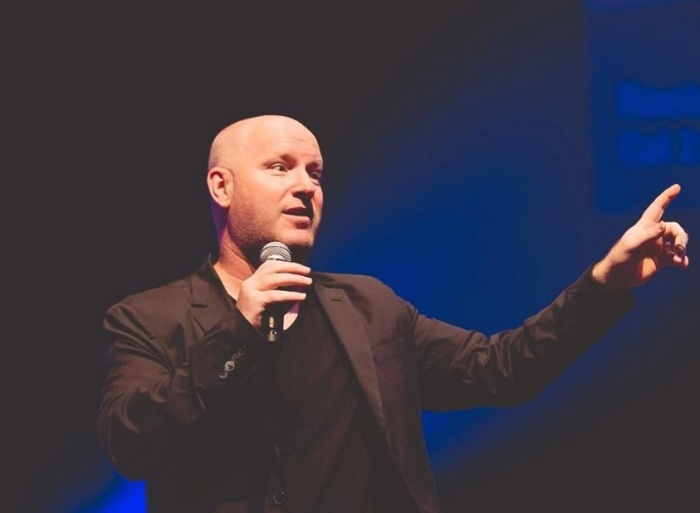 The founder and lead pastor of Planetshakers, one of the most influential church movements in Australia, learned to embrace the concept of honor before his prominent ministry took off and became an international Christian brand. Russell Evans writes about the process he underwent in his new book, The Honor Key: Unlock a Limitless Life, when he started honoring God in obedience which in turn caused a ripple effect of success in his calling and every other aspect of his life. "People view honor as a hierarchical concept and that's true but sometimes we use that an excuse to get people to do what we want instead of understanding the whole scope of how honor really works," Evans told The Christian Post. "I want people to access heaven on earth and I believe the kingdom operates in an atmosphere of culture … if I want the kingdom of God on earth, then I have to find what the key is to release that." Evans said if an individual wants to live a more effective Christian life, they must first understand that the value of honor is the foundational truth of God's kingdom. In other words, a lifestyle of honor brings heaven to earth, he explained. He knows the meaning of the concept all too well but at one point in his life when he was "an insecure pastor's kid," Evans experienced moments that could have derailed God's plan for his life of becoming an influential church leader and communicator. During childhood, he believed he could never become a public speaker and as a young adult, Evans' insecurities temporarily prevented him from honoring God and allowing Him to work through his life. "You don't think that one day you'll get over these insecurities, you're just trying to deal with them. A part of you has great dreams, the other part has great unbelief in yourself or that God can do it … I had the voice of the enemy saying I couldn't," said Evans. He had the desire to create change and make an impact but Evans first learned how great that impact would be when he honored God during a moment in which he was compelled to obey His word at his own expense. During a conference, while sitting next to his wife Sam, Evans said he felt God was prompting him to run around the building but he initially resisted out of fear for what people were going to think. "Unbeknownst to me, the preacher walks off stage, comes up to me and says, 'Run!' so that gave me the permission to do what I was feeling," said Evans. "I ran around the building just once but I didn't feel any great power, I was embarrassed to be honest. But I believe it was an act of obedience through which God wanted to show me that He would take me around the world and bring His presence." After the service that night, a few people who were sitting in the crowd of thousands at the conference, approached Evans and told him that while he was running, they each had visions where they saw Evans "taking fire to the nations." 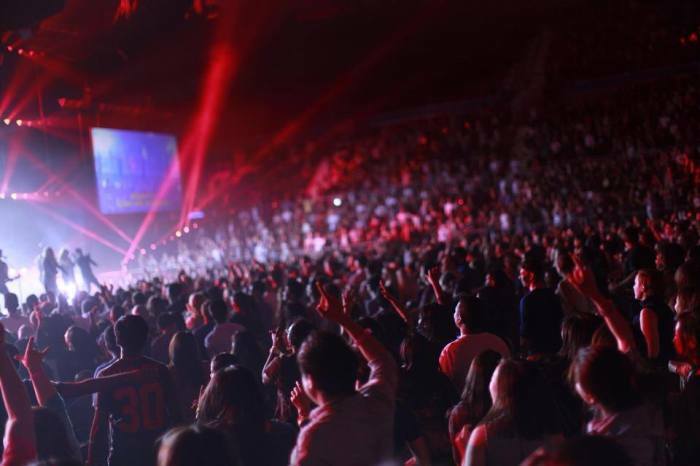 Today, Planetshakers is a megachurch with 10,000 members throughout Australia and South Africa. It is known for its internationally recognized worship band and annual conferences that draw tens of thousands of worshippers around the world. Although Evans' ministry was already destined to reach the world, he says it was honor that got him to where he is now. Furthermore, he said that their Planetshakers Conference started out when he honored God's call to ask the youth in his church to give a large financial offering. "I was quite nervous to tell them to give a week's wage to seed the conference, evangelism, and for church planting efforts around the world. But they got excited and were on board when I shared with them what God wanted to do. If that offering hadn't been there, we wouldn't have been able to do the conference," said Evans. The offering was $66,000 which helped cover conference costs, outreach efforts and a church plant initiative in the Philippines which continues to grow to this day. "Every time someone worships to one of our songs around the world, it started from a seed that a group of young people believed so much in that they gave and now that's resulted in millions of people singing to one of our songs," said Evans. Evans noted that the journey of embracing honor brings out an individual's vulnerability but the outcome it brings forth is one of breakthrough, blessing and generational inheritance, the same result he experienced. The Honor Key: Unlock a Limitless Life is available online.